OCEANSIDE, Long Island (WABC) -- A Long Island man is accused of an attack on his wife inside their Oceanside restaurant. 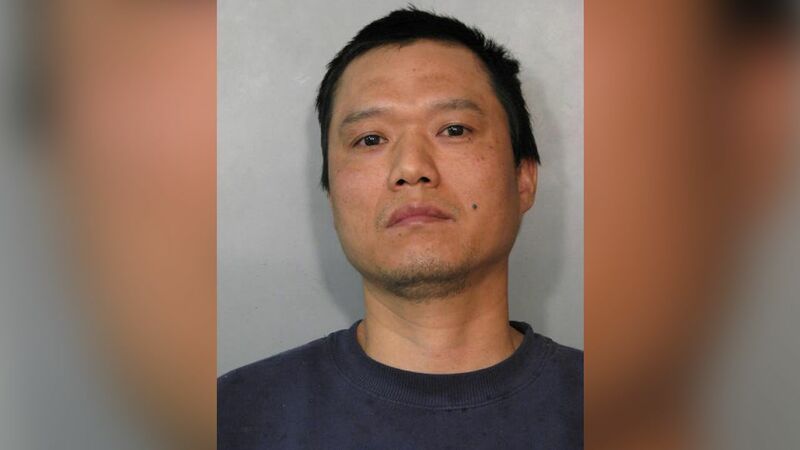 Xiuling Xiao, 39, was arrested Sunday night after police say he grabbed his wife by the back of her head and forced her hands into a vat of boiling oil at their Chinese restaurant. Police say the couple was engaged in a verbal argument at the time. The woman is being treated for second-degree burns. Police say the couple's 12- and 14-year-old daughters were there when it happened. Xiao is being charged with assault and endangering the welfare of a child.